This reference comes from Rugrats In Paris . 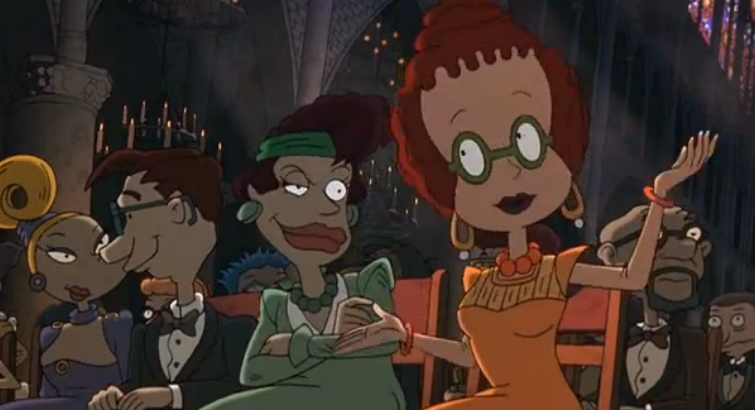 In this movie the Rugrats crew go to Paris and admits their normal wacky misadventures the babies have to stop a wedding. 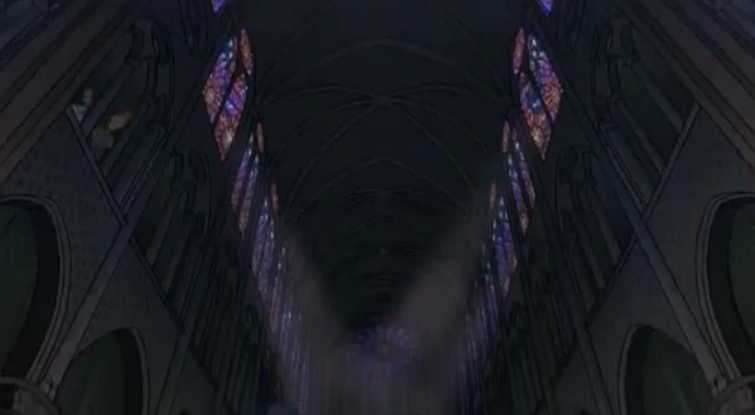 The Wedding takes place as Notre Dame de Paris. 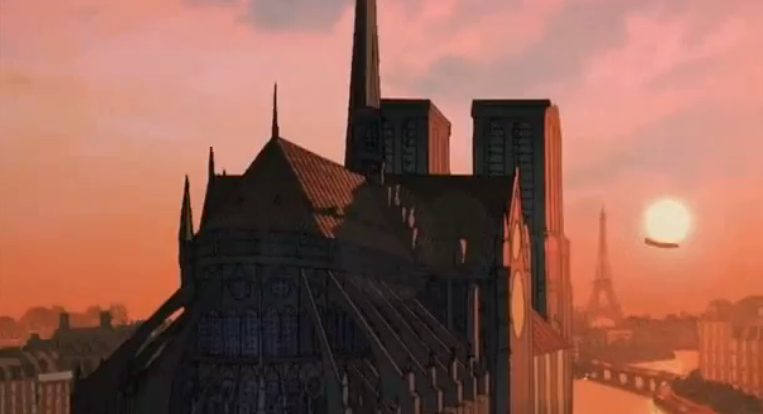 Didi marvels at being at the grand Parisian edifice while Betty makes remarks that if you see one church you have seen them all and to wake her if Didi should see a hunchback. 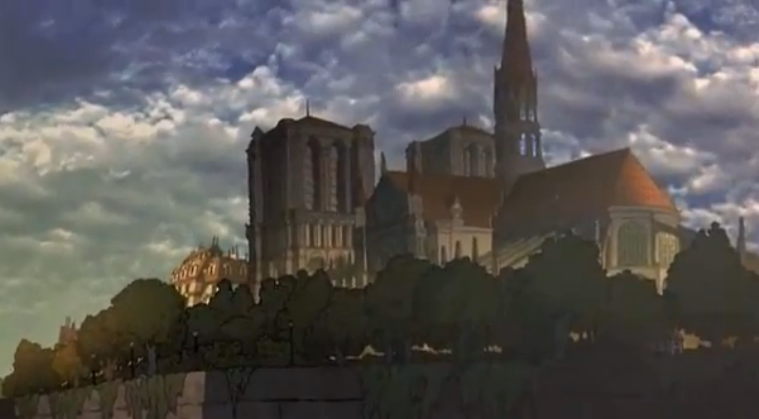 Plus the film has a couple of great shots of Notre Dame. What can I say I’m a sucker for a movie that has elements of French and Japanese culture in it.